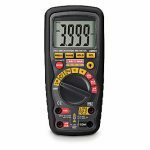 In analog voltmeter the output signal representation is done by using potentiometric deflection. 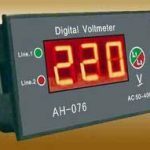 In digital voltmeter the output signal is represented in the digital form. These voltmeters cannot be programmed. These voltmeters can be programmed. No overload indication in analog voltmeter. It has an overload indication. Sensitivity is less in analog voltmeter. 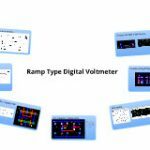 Sensitivity is more in digital voltmeter. In this voltmeter the speed of operation is less. 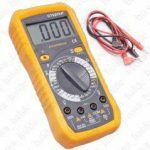 In this voltmeter the speed of operation is more. The number of measurement range is less. More number of measurement ranges. It is not require digitization of signal. The digitization of signal is required. It has poor resolution. It has better resolution.